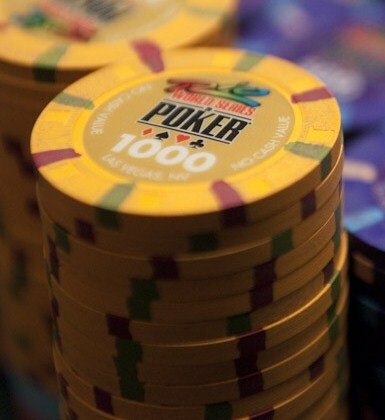 The 2010 World Series of Poker (WSOP) in Las Vegas just ended it’s annual tournament in November. This is the 41st year of the popular No-Limit Hold’em World Championship event. The buy-in to compete is $10,000, and there were 7,319 entrants, the second largest tournament in the history of the event. Since the 1990’s, this poker tournament has gained momentum, and the total prize pool for this year’s Main Event totals $68,799,059. This year saw the main Event Champion collect $8,944,310 in prize money. Jonathan Duhamel was this years tournament champion. He is all of 23 years old, and has been a professional poker player for 3 years. The average age of all 7,319 players in the Main Event this year was 37 years and 4 months. Eight of the nine players who made it to the final table this year were age 29 or younger. Last years winner, in 2009, was Joseph Cada at a mere 21 years old. He is the youngest player in history to win the WSOP, and took home $8,546,435 in prize money. The record for the youngest WSOP Champion was previously held by Peter Eastgate, who at 22 years old, won the 2008 WSOP, and $9,152,416 in prize money. Over the past 10 years, there have been 5 WSOP champions younger than 30, and only one older than 40. Over the last three years, the WSOP Champion has been younger than 24 years of age. Looking back at the history of the WSOP Champions, there have been only 4 Champions in their 60’s, 3 Champions in their 50’s, 15 Champions in their 40’s, 9 Champions in their 30’s, and 10 Champions in their 20’s. Stu Ungar started the trend toward younger champions when he won the WSOP in 1980 and 1981 at age 27 and 28 respectively. Then in 1989, Phil Hellmuth became the youngest WSOP Champion at age 24. He held that record for 19 years, but each of the last 3 WSOP Champions have all been younger than Phil. The WSOP has come a long was since it’s first tournament in 1970, when only a handful of professionals competed, and the winner was determined by a vote. In 1971, the first winner-take-all tournament champion won $30,000. The WSOP Champion 3 out of the first 5 years was over 60 year of age, and the other two winners were over 40 years old. There has been only 1 WSOP Champion over 50 in the last 24 years. The World Series of Poker is more popular than it ever has been, and has definitely become a young man’s game. ~ by Troy Erickson Realtor on November 10, 2010.